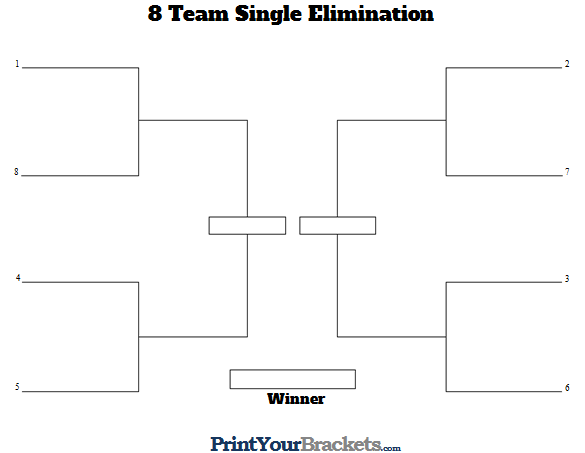 Our 8 Team Seeded Single Elimination bracket is available in 2 different layouts. The first layout runs from left to right, and is available in both landscape and portrait layouts. The second layout comes from both directions with the championship game centered in the middle of the bracket. If you're looking to enter team names, dates, times, and locations of games we recommend using our Tournament Bracket Creator or our Excel Spreadsheet Brackets!